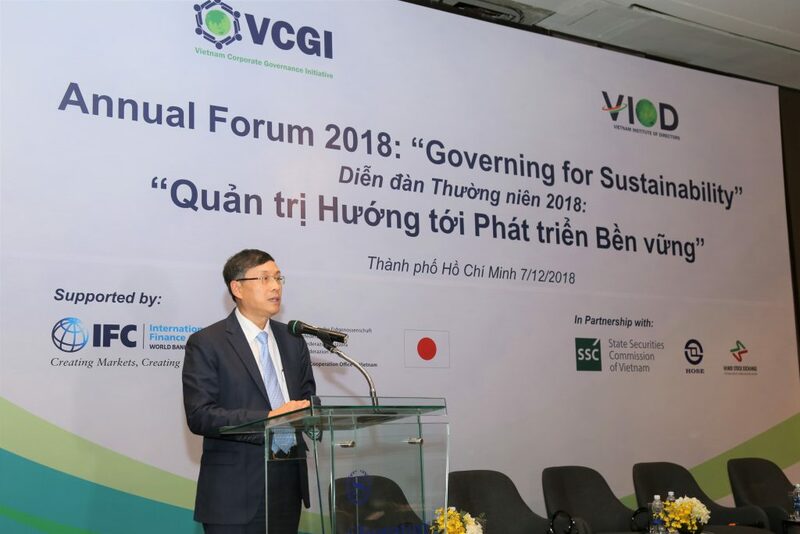 Ho Chi Minh City, Vietnam, Dec 7, 2018 – Today, the Vietnam Institute of Directors (VIOD) and the Vietnam Corporate Governance Initiative (VCGI) co-organize the Annual Corporate Governance Forum 2018 on Governing for Sustainability. The event is held in partnership with the State Securities Commission of Vietnam (SSC), the Ho Chi Minh (HOSE) and Hanoi (HNX) stock exchanges and supported by International Finance Corporation (IFC), Switzerland’s State Secretariat for Economic Affairs (SECO) and the Government of Japan. With participation from leading national and international experts, senior executives from corporations and professional organizations, the Forum will focus on how Board of Directors can support companies to pursue long-term sustainability in Vietnam’s fast-growing economy. At this event, VIOD and VCGI will also launch the 2018 Vietnam Corporate Governance Country Report and VIOD’s corporate membership program for directors. The Forum is being held against a backdrop of Vietnam’s goal to join the group of higher middle-income countries through rapid and sustainable growth. To help achieve this target, businesses have a common interest in building a strategic vision for sustainable business, while balancing environmental and social factors. 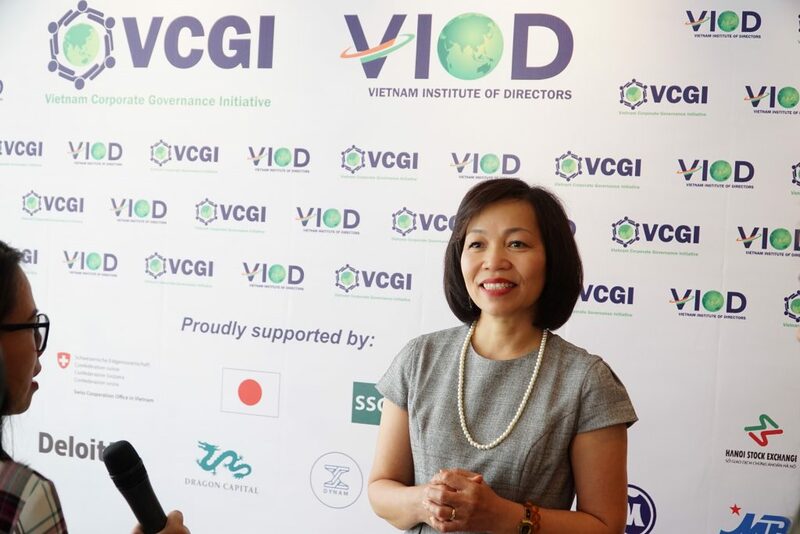 Madame Ha Thu Thanh, Board Chairperson of VIOD and Deloitte Vietnam, said boards of directors (BOD) have a key role to play in creating such sustainable business development strategies. With BODs in Vietnam facing increasingly complex challenges in building a strategic vision for sustainable business while balancing environmental and social factors, the Forum will help board members and senior executives more profoundly realize global trends and good practices in sustainable development as well as create a valuable networking platform to connect and share experiences in corporate governance practices towards sustainable development for businesses. A key factor contributing to a Board’s performance is its diversity, especially as corporate governance best practice encourages diversity in gender, nationality, experience, occupation and position. “The diversity of board members supports them to evaluate issues from a variety of perspectives before making decisions and to complement each other to increase the effectiveness of the BOD,” said Dr. Vu Bang, member of the Prime Minister’s Advisory Group and Chairman of VCGI. The event will be attended by more than 150 participants, including chairpersons and representatives from BODs, CEOs and senior executives from listed public companies on the HOSE and HNX, regulators, investment funds and media. 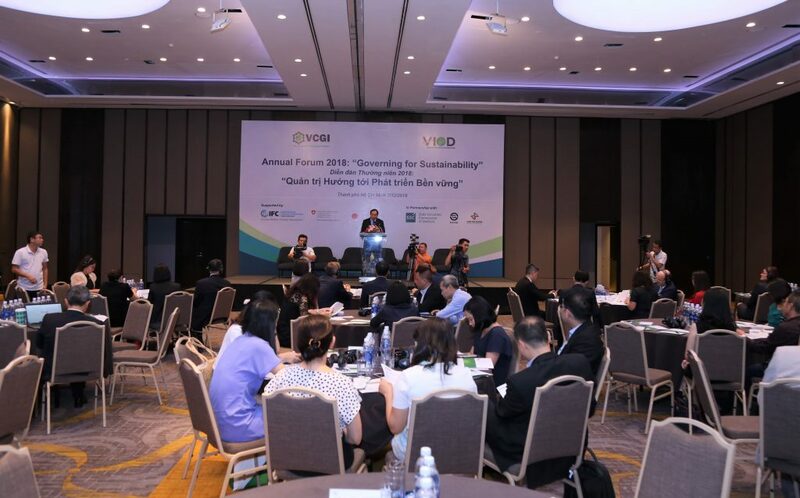 This annual forum underlines VIOD’s efforts to improve BOD professionalism in Vietnam, with good corporate governance playing a pivotal role in the sustainable development of businesses. Vietnam Institute of Directors (VIOD) is an independent organization, which promotes corporate governance standards and best practices in the Vietnamese corporate sector. VIOD is a social enterprise, which aims to advance board professionalism, promote business ethics and transparency, create a pool of independent directors, build a network to connect corporate leaders and stakeholders, and help companies inspire investor confidence. VIOD is governed by a board of directors comprising private sector representatives — in collaboration with and supported by the SSC, HOSE and HNX under the Vietnam Corporate Governance Initiative. Our board members encompass a diverse group of business leaders and advocates of good corporate governance in Vietnam. They include senior dignitaries from investment funds, well-known international legal and accounting firms, and independent board members of prominent companies in the market. 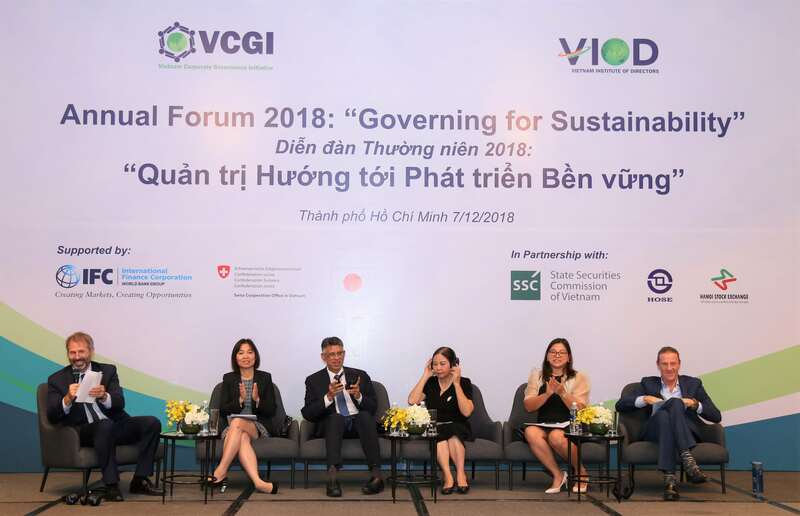 The Vietnam Corporate Governance Initiative (VCGI) was launched in December 2016 by the International Finance Corporation (IFC), Ho Chi Minh Stock Exchange (HOSE) and Hanoi Stock Exchange (HNX) with support from the State Securities Commission of Vietnam (SSC). VCGI is a platform to collaborate and promote good governance practices in the Vietnamese corporate sector. The VCGI’s Council is now composed of 18 individual members who are corporate governance experts and representatives from regulators and private sector stakeholders.